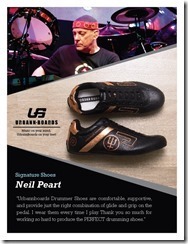 HOW TO PURCHASE NEIL'S SIGANATURE SHOE! Share the post that will go on February 2nd, comment with your name, e-mail, shoe size, then we will send the charge of US$169,90 thru PayPal. The shoes will be sent via UPS and the freight will be charged according to your location, it will be ready to be shipped within 45 days directly from the factory in Brazil. For the very first shoe, there will be an auction, and the money donated to a Children Institute Charity, for that there will be a special post on February 2nd as well. 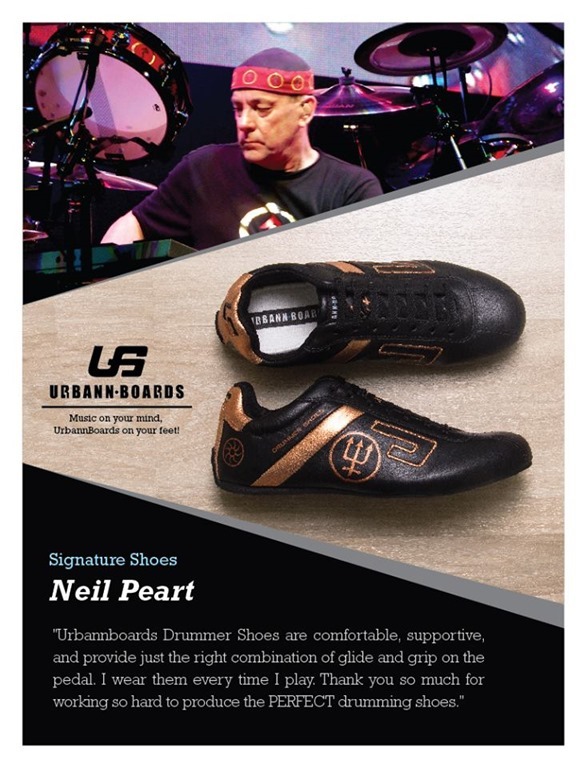 UrbannBoards Drummer Shoes introduced Neil Peart Signature shoes at NAMM this week. So let's go back and answer the question "are these shoes a gimmick?" 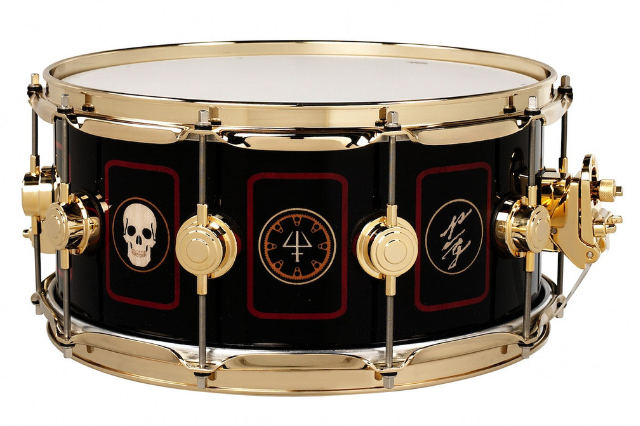 The evolution of drumming has come a long way since our ancestors hit hollowed out tree trunks with branches. What would we have done without the invention of drum sticks? If the hi hat pedal hadn't been invented our cymbals would still be placed 12 inches off the floor. What about the double bass drum pedal? The boom stand? The list goes on and you get the idea. While I am not saying that these shoes are as important as these devices that we now take for granted, if something new comes along to help us play better or more comfortably then bring it on! These shoes are no gimmicks. 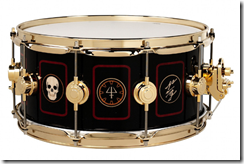 As if the R40 tour announcement wasn't enough, DW also unveiled Neil Peart's new R40 Live tour drums at the Winter NAMM 2015 show today. This looks to be a variation on the "S.S. Professor" R30 kit design. I'll post more info about the kit as I get it. Today Rush announced they'll be touring 34 North American cities in 2015. The tour starts on May 8 in Tulsa, OK, and finishes in Los Angeles on August 1. Tickets will go on sale for some shows starting January 30. See full list below. 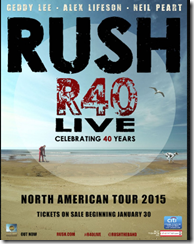 Celebrating 40 years, Rush and Live Nation confirmed that the R40 LIVE Tour will visit 34 cities throughout North America this summer beginning May 8 in Tulsa, OK and finishing August 1 in Los Angeles, CA. These not to be missed concerts will highlight four decades of the band's music. 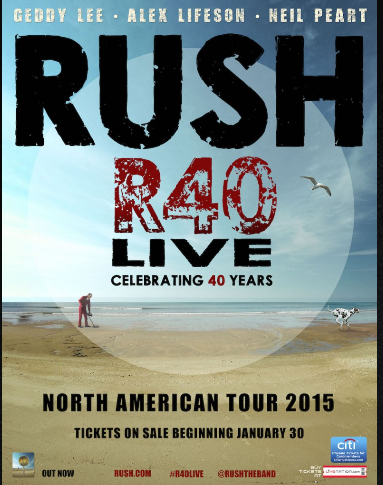 Tickets for the RUSH: R40 LIVE TOUR will go on sale starting January 30th in select markets at Ticketmaster.com and LiveNation.com.